This page is part of ISCC contribution to AIC’s International Colour Day, 21 March 2014. Popular Science Monthly, Vol. 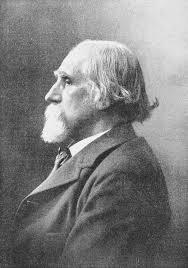 62, Jan. 1903 p. 290 Ogden Nicholas Rood (1831 – 1902) was an American physicist best known for his work in color theory. His 1879 book Modern Chromatics, with Applications to Art and Industry, divided color into three constants: purity, luminosity, and hue—equivalent to J. C. Maxwell’s tint, shade, and hue. Along with Maxwell and M. E. Chevreul, Rood's work was an influence on impressionist artists and their successors. Rood's theory of contrasting colors was particularly influential on G-P Seurat, the founder of neo-impressionism and the foremost pointillist. Rood suggested that small dots or lines of different colors, when viewed from a distance, would blend into a new color. He believed that the complementary colors of his color wheel, when applied in pairs by the artist, would enhance the presence of a painting. International Clinics, Volume II, Tenth Series (1900), Figure 2, facing page 3 Frederic Eugene Ives (1856–1937) was a U. S. inventor, early-on having charge of the photographic laboratory at Cornell University, and later becoming a founding member of the Photographic Society of Philadelphia. Frederic Ives discovered (with credit he shares with Maxwell and Luther) the criterion for good color reproduction: camera and human must make same color matches. This picture shows him inserting a color image known as a Kromogram into a Kromskop viewer in about 1899. 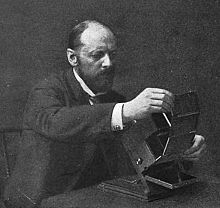 Albert H. Munsell (1858 – 1918) contributed to color science and color theory, which led to one of the first Color Order Systems, the Munsell Color System. In 1905, Munsell published his book, A Color Notation which described his new Color Theory. (Although the source of this photograph is unknown, it appeared in his A Color Notation book. This image was restored in 1998 by Douglas Corbin, a Munsell Color Science Laboratory graduate student.) Later, Albert Munsell published his book Atlas of the Color Solid which preceded the Munsell Book of Color. The Munsell Book of Color described his color order system and was the first to include actual samples of the colors in the system. Munsell spent most of his later life traveling around Europe to present his work to painters and scientists. Munsell's work created an important bridge between art and science. Munsell established the Munsell Color Company in 1917. Please email Paula if you have an image of Norman Macbeth Norman Macbeth (1873 Canada – 1936 US) invented the Macbeth Illuminometer, and also began the experiments that led to the production of artificial daylight and, in 1915, to the formation of Artificial Daylighting Company, forerunner of the Macbeth Corporation. With Ives he developed and patented a circular slide rule for converting measurements of illumination and brightness. He developed and patented the use of high and low color temperature illuminants for testing metamerism. The Library of Congress, 1913 Herbert Eugene Ives (1882 –1953), son of Frederic Ives, was a scientist and engineer who in 1912 authored the first paper on computational color constancy, and in 1915 he reported measurements of the color-matching functions. 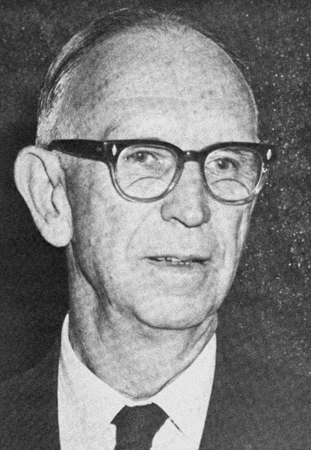 He was head of the development of facsimile and television systems at AT&T in the first half of the twentieth century. 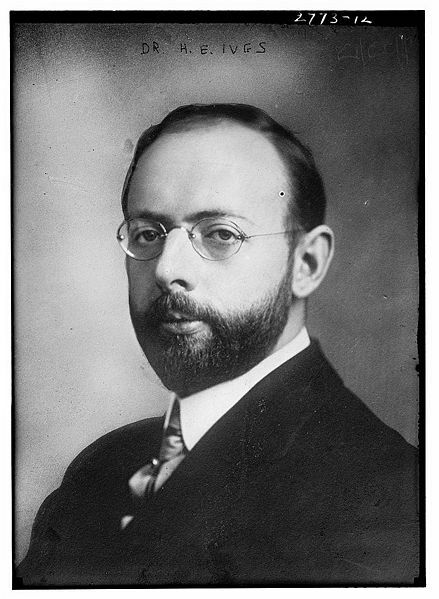 He is best known for the 1938 Ives-Stilwell experiment, which provided direct confirmation of special relativity's time dilation, although Ives himself did not accept special relativity, and argued instead for an alternative interpretation of the experimental results. home.frognet.net/~ejcov/ Matthew Luckiesh DSc, DE, (1883 – 1967) was a physicist who studied color, light and vision, becoming Director of General Electric’s Lighting Research Laboratory. Luckiesh developed several theories on color and its physiological effect on people. He was also interested in determining the conditions for optimal visibility, and in the relationship between light and seeing, in order to design better types of lamps. During World War I, he studied camouflage, and later invented artificial sunlight and germicidal lamps. Luckiesh produced eleven U.S. patents, 28 books and about 860 scientific and technical articles. OSA Historical Archives Irwin G. Priest (1886 – 1932) spent much of his career focusing on fundamental problems in color science. He designed a rotatory dispersion colorimetric photometer to determine color, temperature, and intensity of incandescent lights as well as various forms of daylight. He also designed a device to determine color using dominant wavelength purity and brightness. For a time he served as Chief of the NBS Colorimetry Section as well as Chief of the Spectroscopy and Applied Optics Section. The section had the mission to establish a standardized light source. 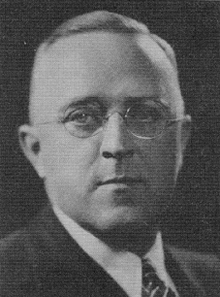 The National Cyclopedia of American Biography Isaac H. Godlove (1892-1954) was directly associated with the Munsell Color Company from 1926-1930 and served as a Trustee of the Munsell Color Foundation from the time of its establishment in 1942. 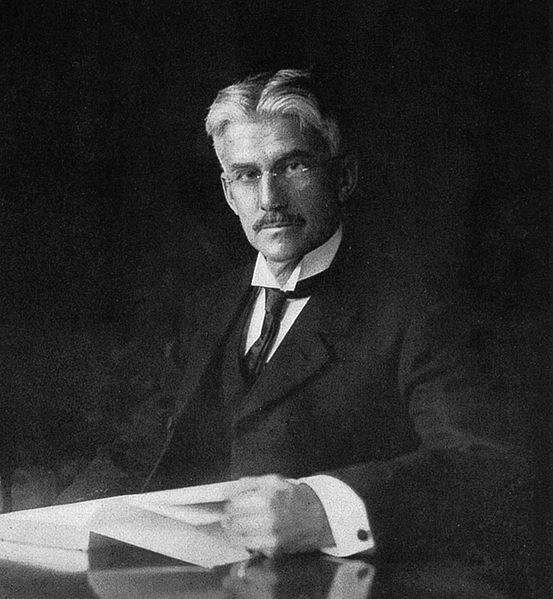 He contributed substantially to the development and measurement of the standard papers published in the 1929 edition of the Munsell Book of Color. He was responsible for the idea and a large part of the work involved in the Standard Edition section on Traditional Color Names. He was involved with ISCC and OSA activities, and introduced the Munsell system to a number of fields where it was previously unknown. OSA Historical Archives Arthur C. Hardy (1895-1977) co-authored a classic optics book with Fred H. Perrin entitled The Principles of Optics. He invented and patented a recording spectrophotometer. He also founded and directed the MIT Color Measurement Laboratory, which gave rise to a noted book, Handbook of Colorimetry. Please email Paula if you have an image of Harry Helson Harry Helson (1898-1977), an American physiological psychologist, developed the adaptation-level theory of perception. He carried out studies in chromatic adaptation and color constancy. National Inventors Hall of Fame Leopold Mannes (1899 – 1964 ) was an American musician, who, together with Leopold Godowsky Jr (1900 – 1983) created Kodachrome, the first practical color transparency film. Library of Congress Dorothy Nickerson (August, 1900 – 1985 ) began work at the Munsell Color Company research laboratory in 1921. She then joined the U. S. Department of Agriculture in 1927 and had a very active career there for 37 years. She was actively involved in color order systems as she assisted in the development of the Munsell system and in publicizing the Optical Society of America Uniform Color Scales system. Her interest in illumination led her to the specification of artificial daylight for judging agricultural products and textile color matching. She published many important journal articles (150) on her work. She was an active member and prestigious award recipient for such organizations as ISCC, the Instrument Society of America, the Illuminating Engineering Society, and the International Colour Association. 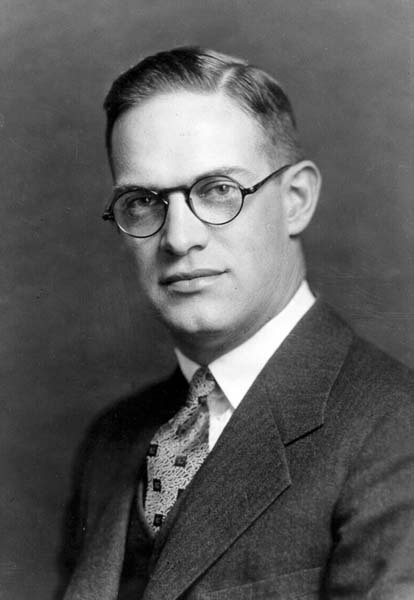 Springer Deane B. Judd (November, 1900 – 1972) was a physicist by education who joined the National Bureau of Standards (NBS) in 1927 where he spent his entire 42 year career. His active involvement in the International Commission on Illumination (CIE) led him to be a key developer of the CIE standard system of colorimetry from 1931 to 1967. He was instrumental in the development of methods for calculating the CIE daylight D illuminants. His color difference work beginning in 1931 eventually led to development of the CIE u,v color diagram in 1960. In 1939, he developed the NBS color difference formula. Also in 1939, he participated in the development of the ISCC-NBS Method of Designating Colors. 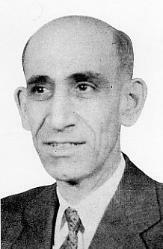 From 1947 to 1968, he chaired a group to develop a perceptually uniform color space which eventually led to the OSA Uniform Color Space. 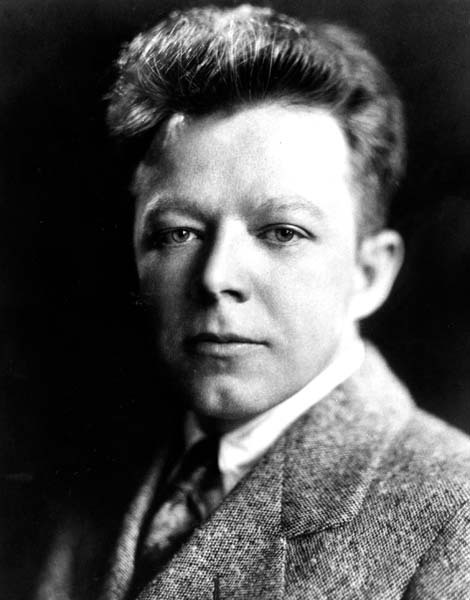 He did important ground-breaking work in color constancy first by himself (1940) and then with Helson and Warren (1952). He partnered with other color researchers, such as MacAdam, Wyszecki, Kelly and Nickerson. He contributed to the color science literature with one book and more than 200 publications.